"Penguin" is a later generation 42 Bertram MY with low hour (100 since overhaul) GM 6-71 diesels. 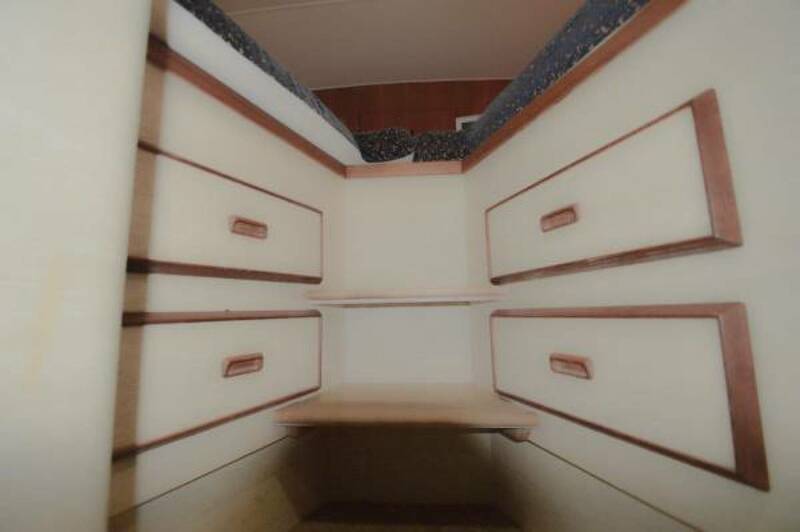 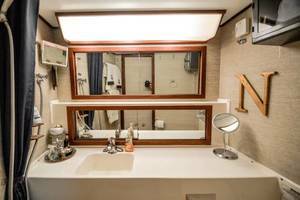 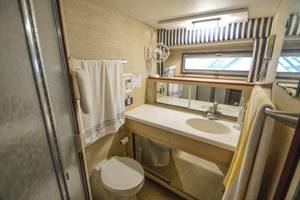 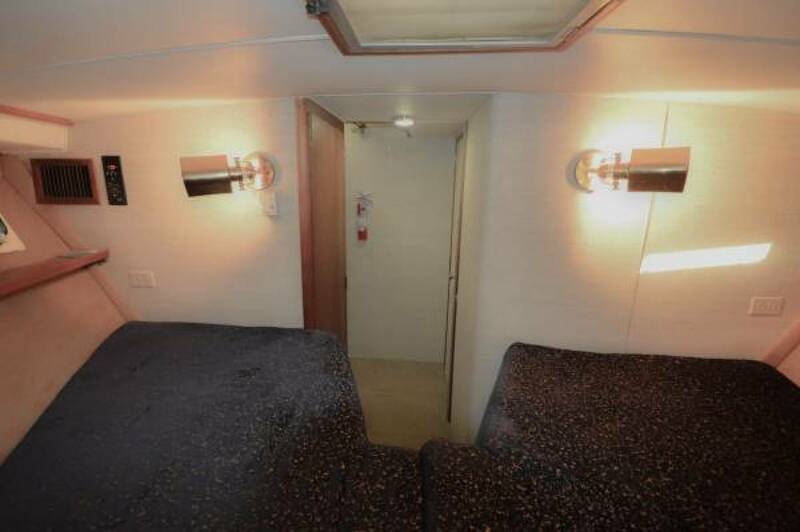 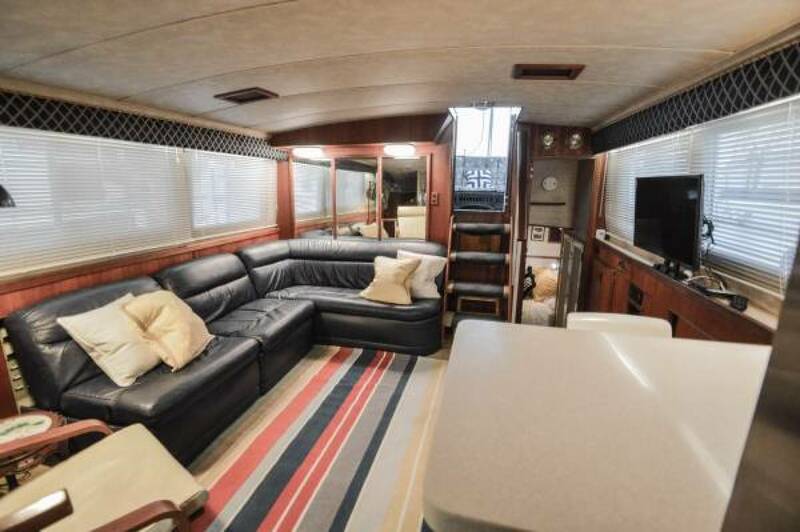 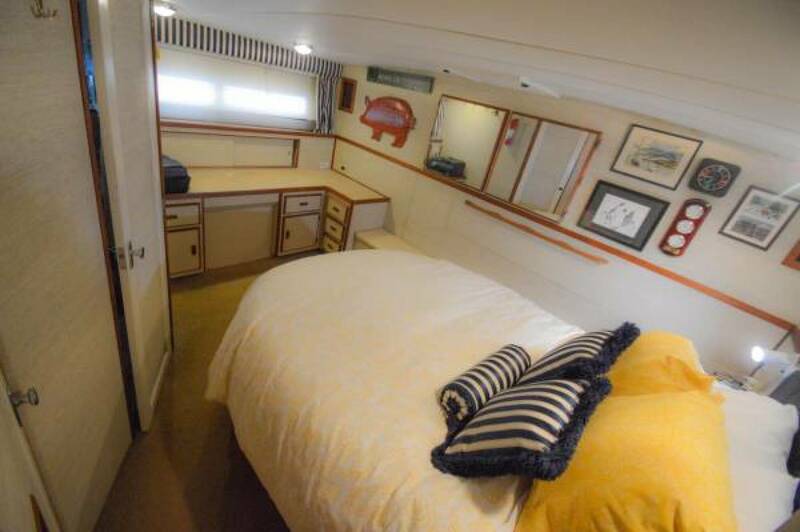 She has a teak trimmed interior (earlier models had Formica) an athwart-ships queen berth in the Master Stateroom and a spacious V-Berth forward. The updated galley is forward in the saloon. 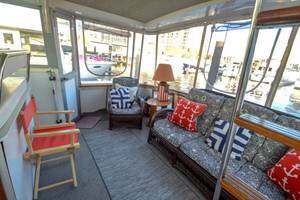 Aft deck is isinglass enclosed with wing doors. 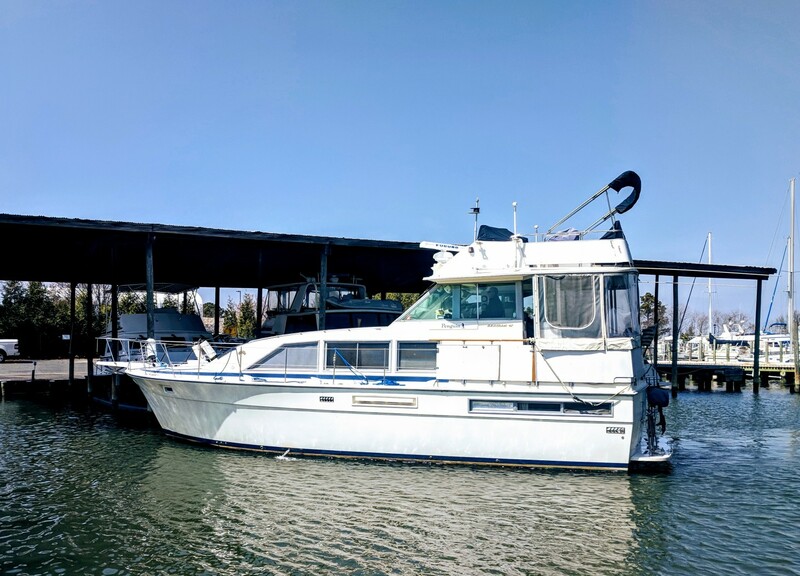 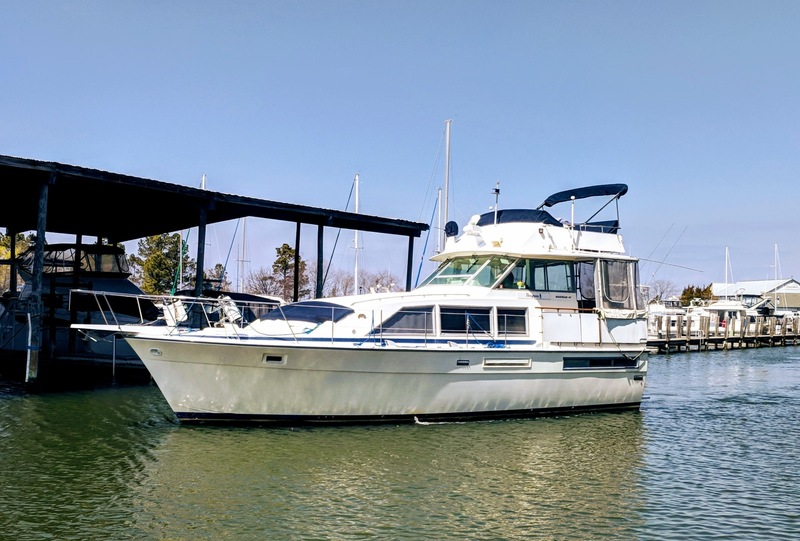 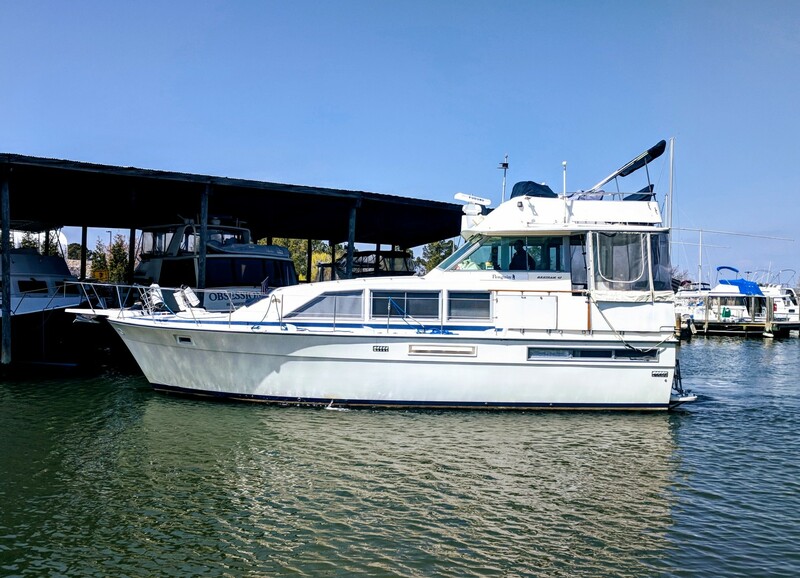 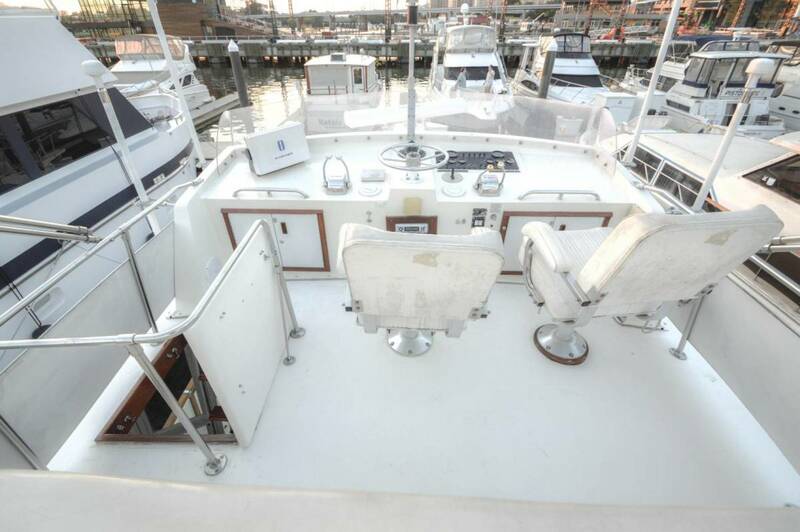 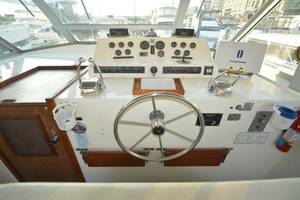 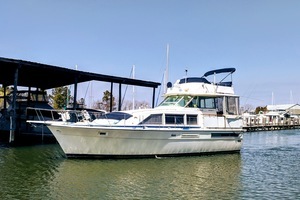 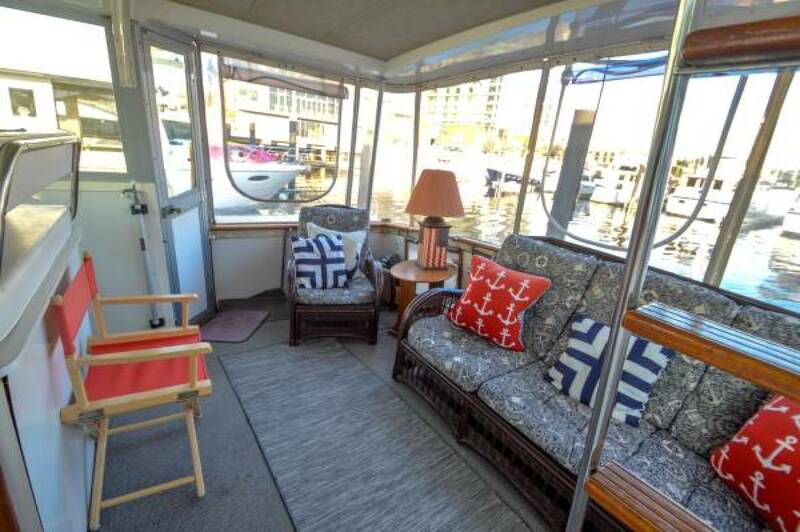 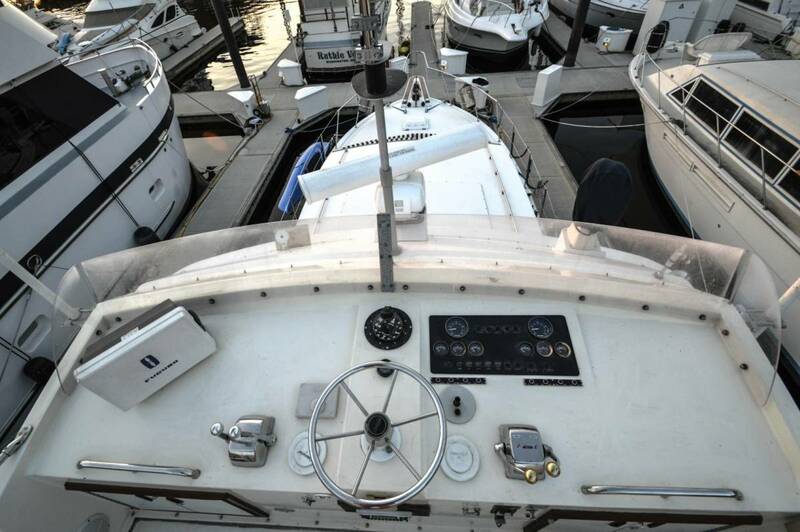 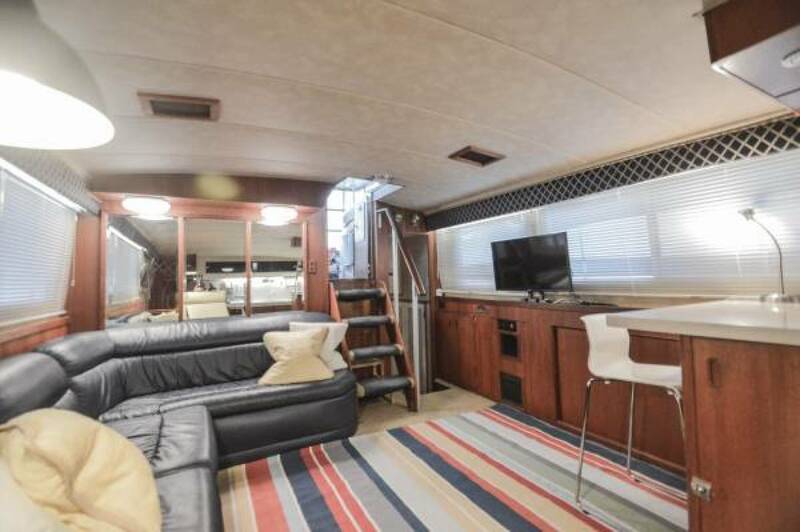 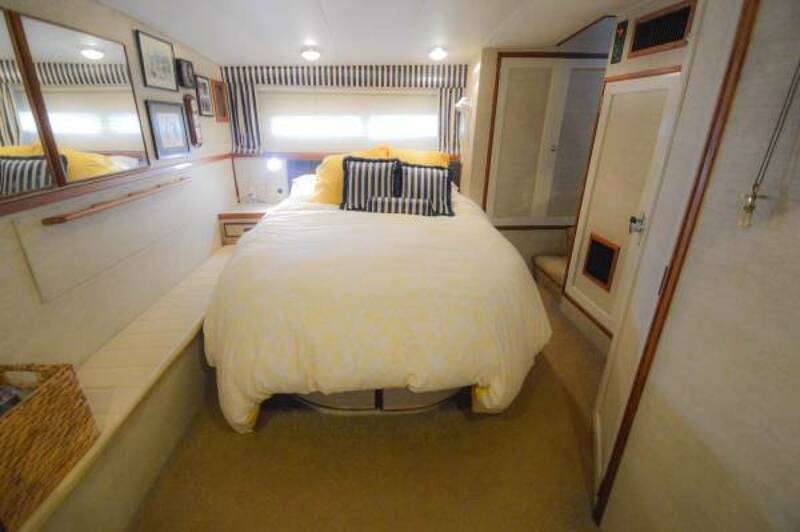 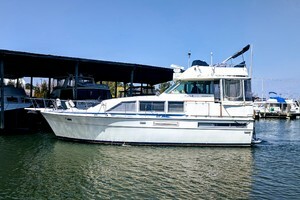 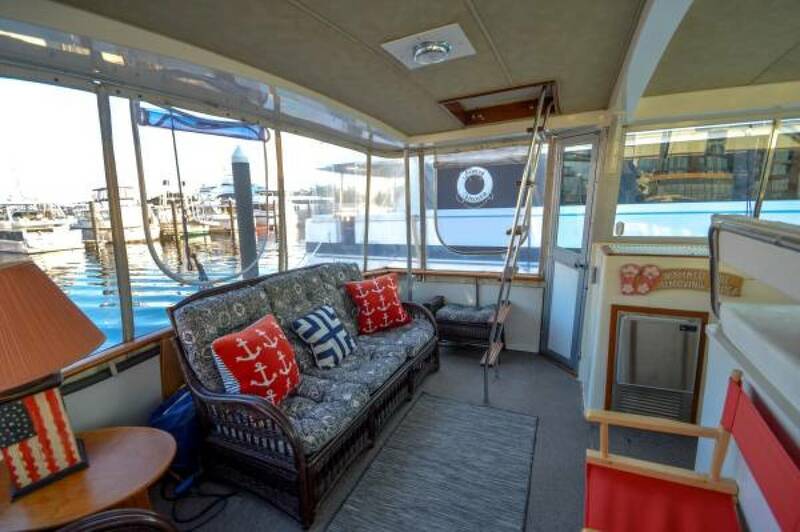 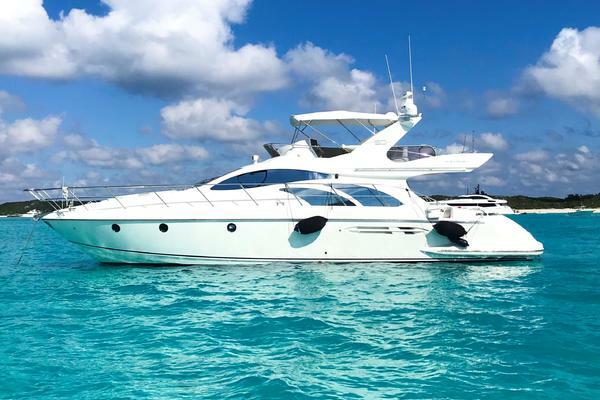 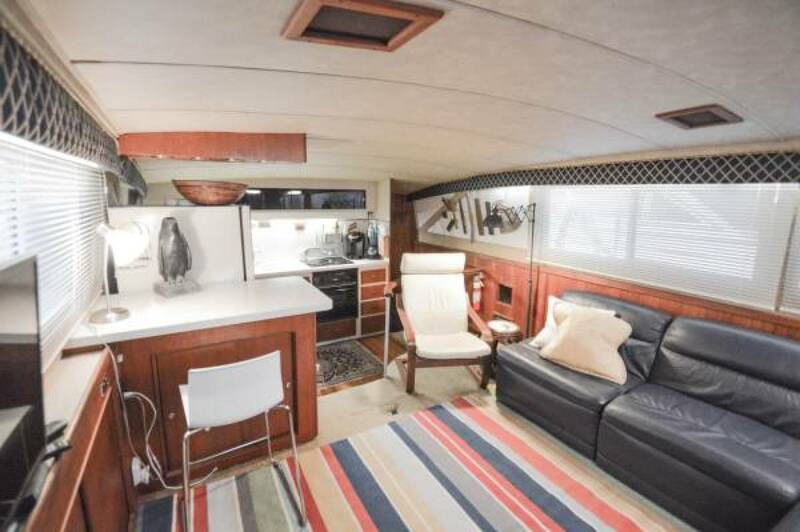 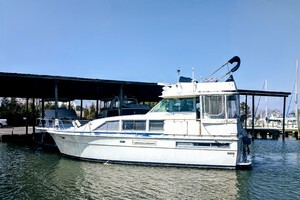 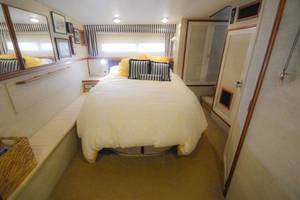 "Penguin" would be an excellent liveaboard or weekend cruiser. Come take a look!NEW AFT ENCLOSURE!Navy Sunbrella and all new isinglass. Beautiful! 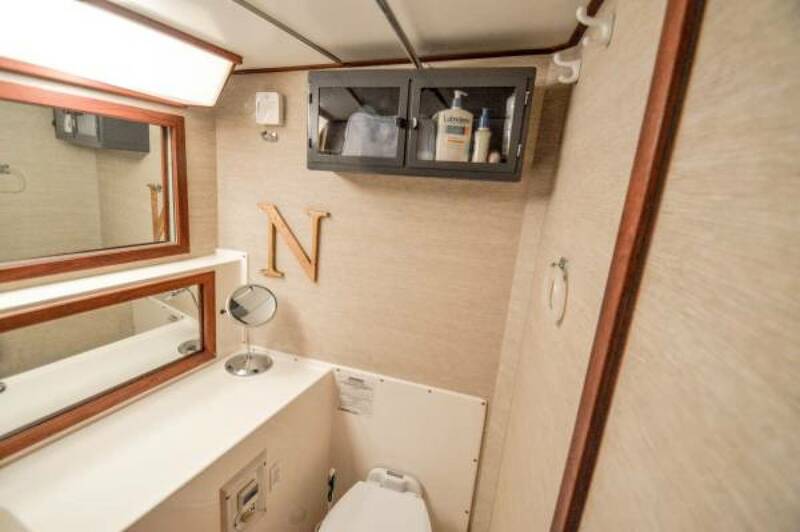 Updated galley on the same level as the salon. 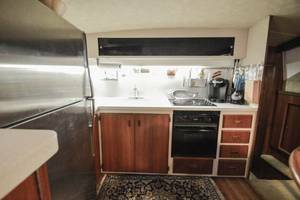 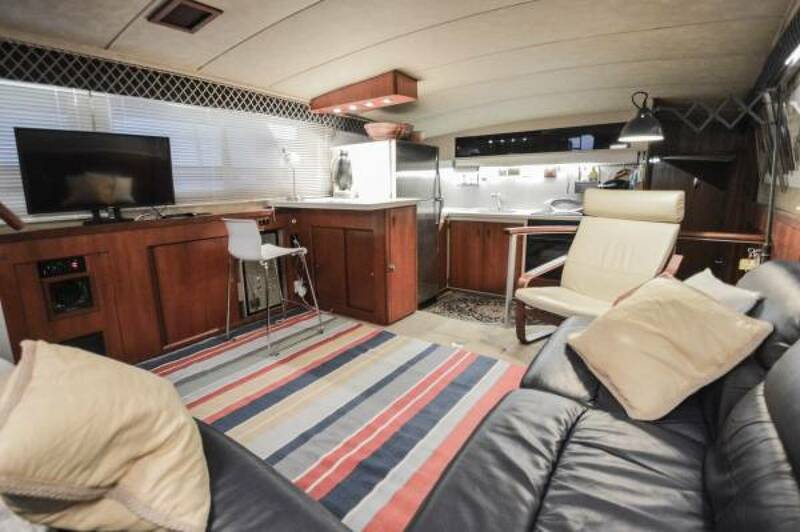 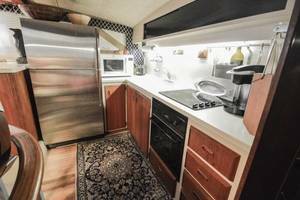 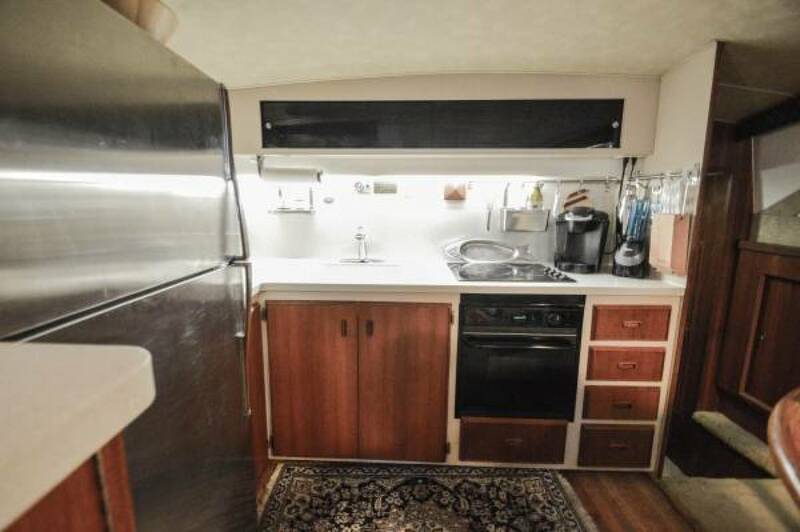 Her open galley includes a full-sized SS refrigerator, electric cooktop, electric oven, microwave, bar height peninsula, Corian counters, and has a clean modern look. 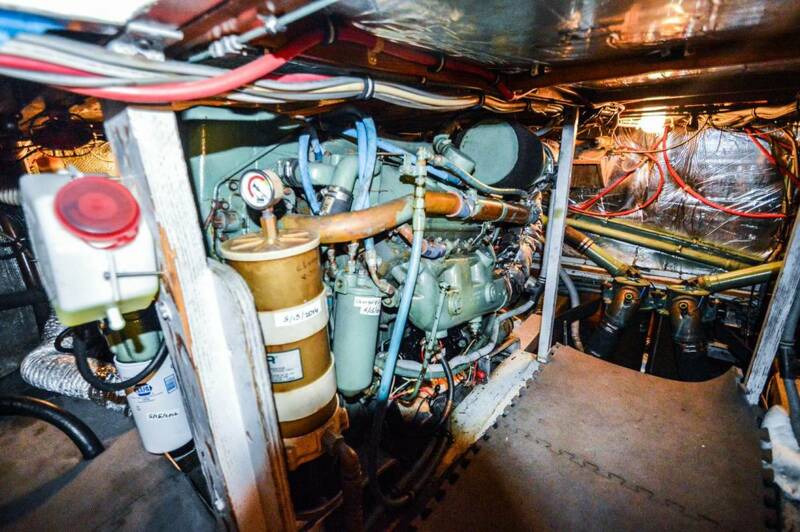 Built in CO2 fire extinguisher in engine compartment. 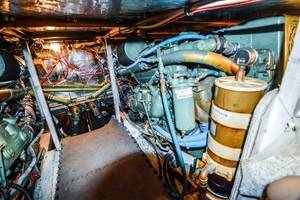 Propulsion: (2) DD 6V71's Diesel (335hp each) with approx 100 hours since overhaul, 1,300 hours total time.